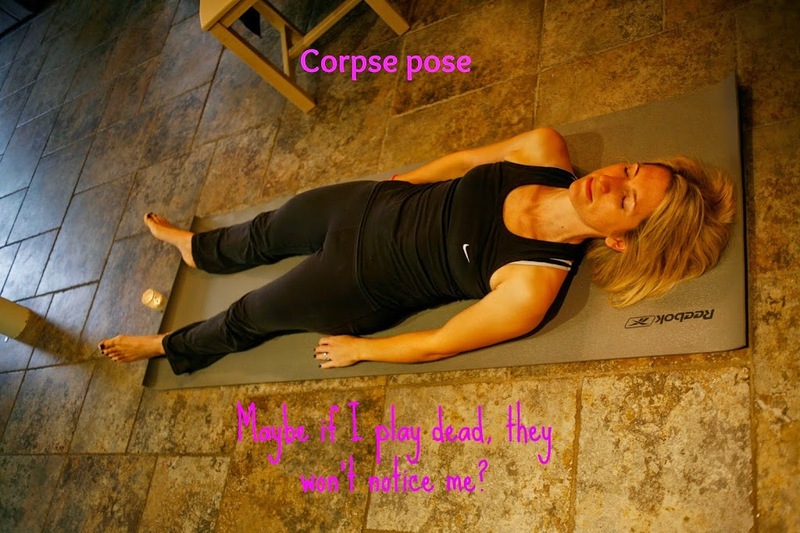 Can’t get to a yoga class? Never fear! 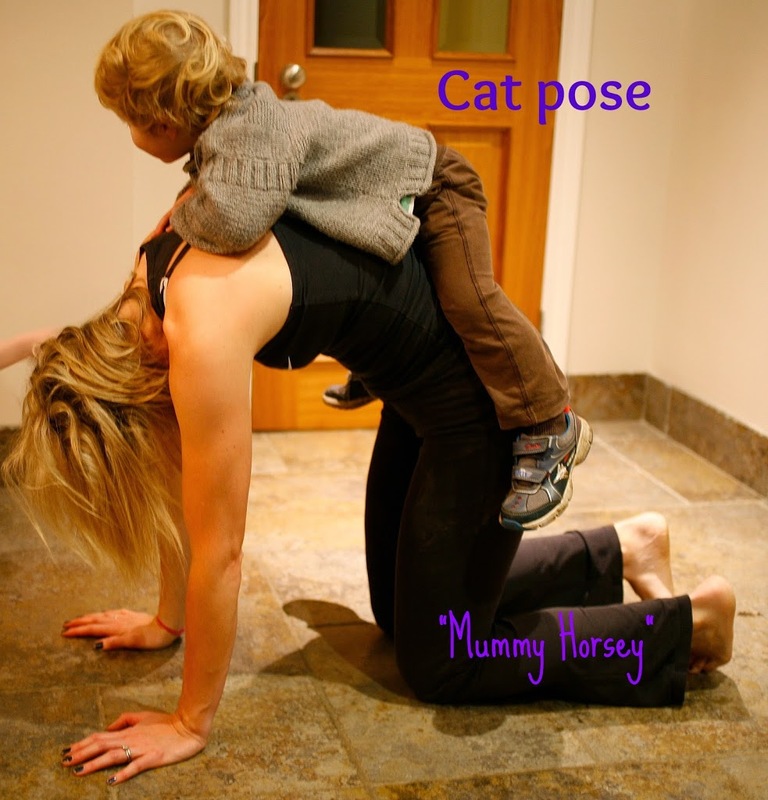 Here are ten yoga moves you probably do daily in the course of being a parent. Just remember to replenish lost energy with cake and wine. Now, go get bendy! Stirring pasta and feeding invisible babies ain’t easy, y’know! Previous articleThe End of the Affair? Love this!! I often wonder why I’m not in better shape after all the crazy maneuvers I have to pull while chasing around a 2 year old all day!! Thanks for the giggles! My pleasure Brandyn, thanks for the lovely comment. Children are exercise in themselves, aren’t they? Brilliant – and it obviously works, you’re in fab shape! I love it. 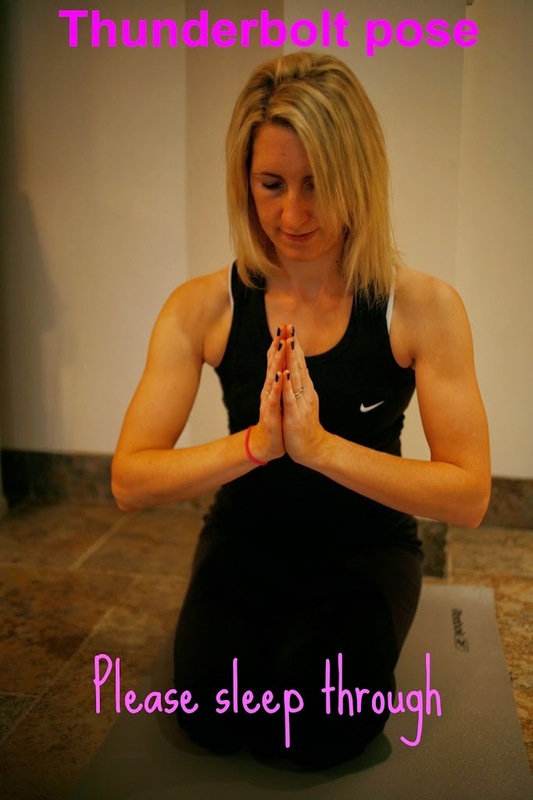 I would love to find somewhere local to try Yoga! I’m sure there must be somewhere – I hope you manage to find somewhere as it’s a great thing to do! Love this! Really made me laugh. I’m also fascinated to know which kind and tolerant person took the photos! I know nobody in my family would help me out with the blog like that. Thanks Sarah! It was my dear brother come up to visit. I think he did a great job! Thanks hon, glad you liked it. Lovely to see you at Blogfest. Great post 🙂 you made me laugh. I do love yoga and try to make time for it, but now I can see I do more than enough! Well, quite! Doing the photos did inspire me to dust off the mat for real, though. Ha ha ha, I missed that one, you’ll have to do an Advanced Yoga Moves You Already Do as my knowledge is running thin now! I loved this! I am definitely doing ‘child pose’ searching for lost toys under all the furniture pretty much non stop! Yes, story of a mother’s life! You don’t get to enjoy the relaxation before someone jumps on your back though, do you? Oh poor you, hope you get to relax and corpse out!